We got this e-mail today and will pass it on to you. Judging by the prices of other Product Of God offerings, you can expect to pay between £125 and £250 for this. 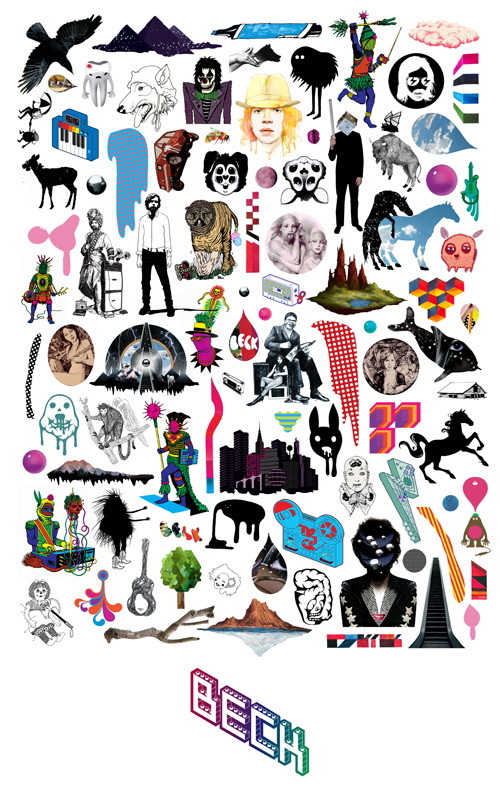 Please find attached details of the forthcoming limited edition BECK print which will be going live on www.productofgod.net on 1st May. Product of God is an online gallery selling limited editions from the world’s leading graphic artists and illustrators. The launch of www.productofgod.net will be marked with an unique art litho poster created by London based designers Big Active in collaboration with the internationally acclaimed musician Beck. Best known for their music design work, Big Active has created award winning album imagery for a variety of bands including Snow Patrol, Keane, Athlete, Basement Jaxx and Goldfrapp. This limited edition of 200 individually numbered prints will be available exclusively on www.productofgod.net from 1st May 2007. Each print is signed by Beck. Let me know if you would like any further information or would like to post this information onto your website to inform Beck fans in advance of the launch on 1st May. You can check out the PDF of the press release here. UPDATE: Sorry for all the little tiny updates, but I just wanted to say that a lot of the other prints Product of God has are by the same artists who did info stickers, and some of the prints are very closely related to info sticker designs. This entry was posted on Wednesday, April 4th, 2007 at 12:17 pm	and is filed under Announcements, Art, Beck, Releases, The Information. You can follow any responses to this entry through the RSS 2.0 feed. You can leave a response, or trackback from your own site.